Your Business Card is your first impression. Stand out from the crowd with something unique and eye-catching. 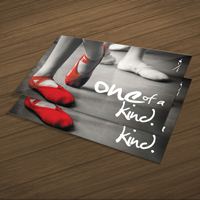 With options like silk and full color foil business cards, your card is sure to make a fabulous first impression. 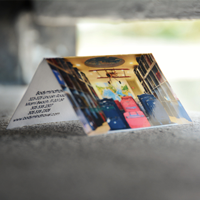 Business Cards Digitally Printed in Low Increments on 16pt Card Stock with Choice of UV High Gloss, UV One Side, Or Matte Finish. 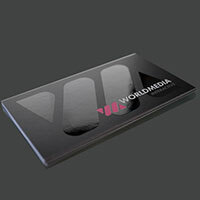 Business Cards Printed on Thick 16pt Card Stock with Choice of UV High Gloss, UV One Side, Or Matte Finish. 16pt Matte Finish Buinsess Cards with Spot UV Lamination Printed in Full Color on Thick 16pt card stock. 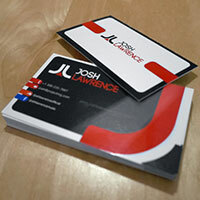 Folded Business Cards Printed on 14pt Card Stock with Folding Score Included and choice of UV, Matte, or Spot UV Finish. Linen Business Cards Printed in Full Color on Premium 100lb Linen Cover Stock. 24pt Linen Business Cards Printed in Full Color with an Array of Options Including Foil, Debossing, and Painted Edges. 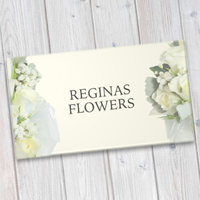 14pt Natural White Business Cards are Printed on a Light Cream Colored Card Stock, has a Smooth Finish, and is Enviromentally Friendly! 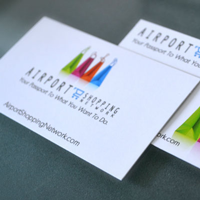 Business Cards Printed on 14pt Dull Matte Card Stock in Full Color on 1 or 2 sides. 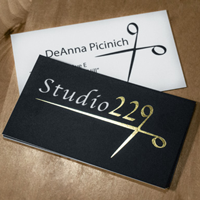 Foil Stamped Business Cards 14pt Dull Matte Card Stock with Silver, Gold, or Copper foil stamping. 18pt AQ Semi-Gloss or UV High Gloss 1 Side while the Back Side Remains Uncoated with a Dull Matte Finish. Brown Kraft Business Cards are Printed in Full Color on a Rich, Light Brown Kraft Stock with an 18pt Thickness! 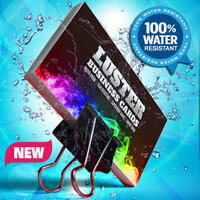 Luster Laminated Business Cards with a 3mil high gloss laminate which leaves a final card with a massive 22pt thickness.